Among the most difficult subjects newspapers write about is death by suicide. For many, death is an uncomfortable subject, no matter the manner. But suicide is particularly sensitive because mental illness is almost always present in suicide incidents, and our society struggles with stigmas about mentally ill people. Take that one step further in a small community like Durango, and the discomfort is heightened. Community members often regard suicides as a private matter that their friends, family and neighbors should be sheltered from. Reactions to a story about someone’s self-inflicted death are frequently stronger than a story about any other type of death, including homicide. When The Durango Herald publishes stories about suicides, we sometimes receive complaints. Not everyone agrees that the cause of someone’s death is a legitimate public concern. When suicide is involved, some people feel a news story about it is so humiliating that it adds insult to fatal injury. Some also feel that reporting suicides may promote copycat acts. A cause of death, whether or not it is by suicide, is a legitimate public health issue. We enter this world the same way, but we leave by many causes. Reporting the cause empowers people to shed light on the human condition; withholding them raises questions and may promote rumors.Covering suicides can change public perception and encourage those who are at risk to seek help.Suicides are public in the sense that they require the services of law enforcement and the coroner.Writing about suicides can help others by prompting thought and discussion of problems that can lead to such deaths – and of possible solutions. When the Herald writes about suicides, we take great care in the language we use and the way we tell the story so that we minimize harm to those involved. We have to tell a painful story truthfully without needlessly inflaming private grief or causing unintended consequences. We follow recommendations from the Dart Center for Journalism and Trauma – a resource we have consulted often lately as La Plata County has experienced an increase in the rate of suicides. This informs us about the importance of covering suicides and publishing stories of people who die by suicide in our community; it is an opportunity to provide the public with information and resources that could save lives. As long as there are suicides, the Herald will publish stories of people who die in this manner. Because, to paraphrase the poet John Dunne, the death of one diminishes us all. 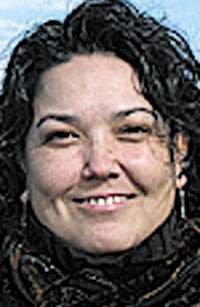 Senior editor Amy Maestas can be reached at amaestas@durangoherald.com or 375-4539. National Suicide Prevention Hotline: (800) 273-TALK (8255). Colorado Crisis Support Line: (844) 493-8255. The line has mental-health professionals available to talk to adults or youths about any crisis.